All of these babies are thrifted – and all of them are 100% wool. Not a fan of synthetics. 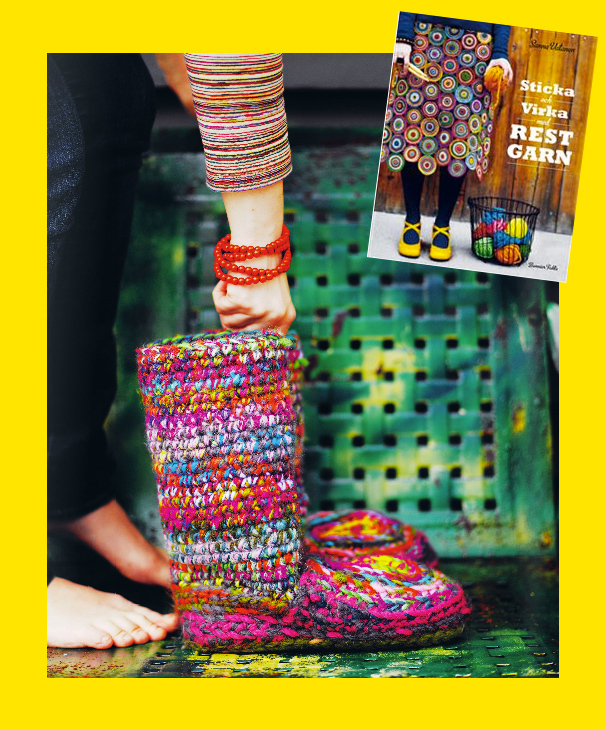 I got the idea from this book with crocheting/knitting/embroidery projects by Sanna Vatanen. Oden and Freya are digging my booties, too. That is one enthusiastic cat. OMG I need to learn to do this! They are GORGEOUS! Men gu va fina!! Vad du är duktig! Tack! Det ska noteras. Storlek?